1What devices can I connect to the Hidden WiFi VPN Router? You can connect as many devices as you wish. Due to the super low latency and high speed that we offer - you can even use the VPN on your PS4 or XBOX. Gaming is a pleasure, knowing that you are immune to "swatting". Same goes for streaming devices, computers, laptops, even your IoT devices, like your Nest cams and thermostat! VPN stands for Virtual Private Network, a secure tunnel between two or more devices.Connecting to a VPN gives you an encrypted connection to the Internet. This allows you to stay private, stay secure, and access the online content you want – no matter where you are. 3What can I do with a VPN? 4What services can I access with a VPN? 5Why do I need Hidden Router VPN? If you don’t want websites, your ISP, or hackers snooping on your activities, then a VPN provides the protection you need. Hidden Router VPN encrypts your data while it’s in transit, making it unreadable for third parties. Hidden Router VPN also hides your IP address and location by giving you an anonymous IP. At Hidden Router VPN, your security is the top priority. Hidden Router VPN does not log your browsing activity. 6Will a VPN slow my internet connection? With any VPN, it can, but the difference is often unnoticeable. Furthermore, if your ISP is throttling certain types of traffic, using a VPN could actually boost your speed. 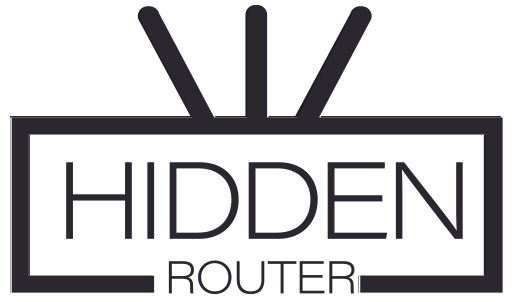 Hidden Router VPN runs a premium high-speed network using bandwidth from tier-1 providers. 7Does Hidden Router VPN offer a lifetime subscription? No. That is because providing a secure, fast, and reliable VPN service is not free.Lifetime subscriptions mean providers must deal with a lack of sustained revenue. They usually cope with this by using cheaper and less secure infrastructure, selling user logs and IP addresses for extra income, or limiting technology upgrades and customer support to cut costs.Hidden Router VPN is committed to protecting your online privacy and continually invests resources to ensure you get best-in-class service. 8How many devices can be connected to Hidden Router VPN simultaneously? You can connect endless amount of devices! We have customers using a single device connected to their router, and we have people using up to 10 devices at the same time. Please do note that using excessive amount of devices connected to the router will lower the overall performance, as it shares bandwidth between all devices. So if you have 50mbps provided from your ISP and have 10 devices connected - chances are that depending on what the devices are doing - they will get around 5mbps speed per device. 9I already have my own router, how can I use your service? Whether you have a router from your ISP or you got one yourself - you can still use the Hidden Router. Just connect it to the Lan port of your existing router, and this way you will end up having 2 different WiFi networks - one is your existing one, which will provide unencrypted connection, and Hidden Router 2G/5G - which will provide fully encrypted connection. This way you can connect all devices, that require encryption to the Hidden Router 2G/5G network and hide their origin. 10Can I download torrents with your service? Yes, you sure can! We do not limit what you can use your router for. 11Can I watch streaming content with your service? 12Will your service work with IPTV streaming? Yes, it will. If it does not - please ask your IPTV provider to enable VPN connections for your username. 13Can I use the Hidden Router to watch Netflix? Netflix has been known to ban VPN services. So chances are - even if our IPs are currently working - they will eventually stop. This is why we suggest using two routers - ours for all the traffic that needs encrypting, and a regular router, likely supplied by your ISP, to use for services, which require non-VPN access. 14Why am I not getting 250mbps? Whats up with that? There are a few reasons why you might not be getting the full speed. One is - you are not getting that speed from your Internet Service Provider. Another reason is if you are using SpeedTest.net or speedtest.xfinity.com to measure the speed. Usually sites like that are not very accurate. To measure the speed accurately - try downloading a file, for example download an Ubuntu Linux installation from multiple locations, and measure the speed that way. 15I went to Google, and Google thinks that I am based in another country. Help! Google uses different ways to ensure everyone gets routed where they need to be. If for some reason it sends you to Google Equador, or Google VN, or other countries - simply go to Google main page, on the bottom right corner you will see "Use Google.com". Click on that, and you are set, now it will route you through the united states. 16I just received my Hidden WiFi Router, and it does not work with my ISP. Now what? We provide 7 days money back guarantee for our Hidden WiFi Router and we do our best to get all VPN servers with best routing for all ISPs. However if for some reason your ISP does not work as it should with our service - you can easily contact us, either on Facebook or send us an email, and we will send you instructions on how to return your unit for a full refund. 17My IPTV provider no longer works after using your service. Help! If your IPTV no longer works after connecting to our router and/or service - please contact your IPTV provider, and ask them to enable VPN on your account. 18I keep getting "Prove you are human" captchas on all different websites. Why? A lot of different websites try to protect themselves from spam, and by doing so - they require all traffic, coming from VPN providers to prove that they are human. This is just normal. We do our best to switch IPs regularly to avoid these requests, but that does not always work. Have a questions not answered here? Start a chat with us and we will answer all questions you might have!